ILIGAN CITY (MindaNews/17 June) — As 30 June 2010 approaches – a red-letter day promising relief from the ravages suffered by the Filipino people under the most unpopular administration in our country’s history (and that will be your legacy dear PGMA!) – a Mindanawon drama with national repercussions unfolds in a town called Tampakan. Take away the letter P in that name and the word spells TAMAKAN (literally meaning “to put one’s foot on an object that is not considered important”). It is the most appropriate Cebuano word to use when one refers to an unjust and condescending manner of treating the underprivileged, as in, tamakan ang ilang kahamili (to crush their dignity). The cast of characters of this Mindanawon drama is most interesting. And depending on one’s perspective of DEVELOPMENT and where one stands vis-à-vis CARE OF THE EARTH, one’s heroes can be the others’ villains. On one side are the executives of the Sagittarius Mines Inc. (SMI), especially Peter Forrestal (SMI’s President and Executive General Manager of Xstrata Copper in Asia-Pacific), Mark Williams (SMI’s General Manager) and John Arpaldo (SMI’s corporate commercial manager). SMI is the foreign-back company pursuing the Tampakan Project aimed at mining copper and gold; once operational, SMI will mine what has been touted as the largest underdeveloped copper deposit in Southeast Asia! SMI’s 40% controlling equity in this project is held by Xstrata Copper (listed as the world’s fourth largest copper producer) while the rest is owned by the Indophil Resources NL, an Australian firm. The Zijin Mining Group Co. Ltd of China is interested in investing in this project; its executives have visited Tampakan recently. This mining project will eventually cover not just Tampakan, South Cotabato but also Columbio, Sultan Kudarat and Kiblawan, Davao del Sur. The supporting cast on the side of SMI includes Horacio Ramos, the (outgoing?) Environment and Natural Resources Secretary, Jesus Dureza, the (outgoing too?) Mindanao Development Authority Chairman and LGU officials in 3 towns where SMI will eventually have its operations. One can assume, of course, that thousands of those in the PGMA government (outgoing?) who have pushed the implementation of Republic Act 7942 (known as the Philippine Mining Act of 1995) are part of the thousands of supporting cast. Back to our cast of characters. On the other side are strange bedfellows who find themselves facing SMI and its allies without the benefit of setting up a collaborative effort, namely, the LGU officials, Catholic priests, NPA commanders, even the Regional Governor for Southwestern Mindanao of the Philippine Chamber of Commerce and Industry. This is theatre in Shakespearean terms. Or more appropriately, this is a classic Brechtian theatrical piece! For the stakes are VERY HIGH indeed! The Tampakan copper-gold project involves a 2.4-billion-ton resource containing 13.5 million tons of copper and 15.8 million ounces of gold. It has the potential of generating foreign investment to the tune of over USD 5 BILLION and could employ up to 9,000 people during construction and 2,000 during operations. Aimed to start operating in 2016, SMI will amass huge profits. resistance movement began to arise. Bishop Dinualdo Gutierrez became one of the most visible spokesperson of those opposed to SMI’s plan to do open-pit mining. As the NPA rebels have been in the area for years, they, too, opposed SMI’s presence in the area and have been reported to have burned SMI’s machinery. We are presently at the end of ACT I of this unfolding drama triggered by an action on the part of South Cotabato’s Sangguniang Panlalawigan (SP). On 9 Wednesday 2010, after five years of discussion, the SP – on its third and final reading – approved its Environment Code banning open-pit mining method (nine members voted for it, one opposed and two abstained). There was jubilation among the ranks of civil society actors. Fr. Ramon Q. Catedral, Social Action Director of the the Marbel Diocese (speaking on behalf of the Bishop) congratulated the SP and called on the Governor to sign it. There was no formal statement yet from the NPAs as to how they viewed this new development. 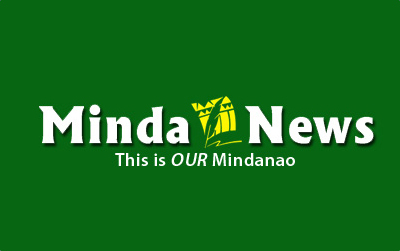 Allan D. Yaphockun, the Regional Director of SW-Minda PCCI said that the SP’s move was a “victory to the cause of the environment in South Cotabato”. The approved code was then submitted to Gov. Daisy P. Avance-Fuentes, the outgoing Governor whose term ends on June 30 (after which she takes over as Representative of South Cotabato’s 2nd District). She indicated to media that she had no reason to veto the Code, saying “the risk of open-pit mining is high,” “the SMI had failed to provide them with a technical study to disprove the claims of an earlier study indicating that open-pit mining would be disastrous to the environment and people’s livelihood” and “90% of the profits will go out of the country”. The scene following Gov. Avance-Fuentes’ announcement that she would sign the Code was the march and picket of the 3,000 “dakilang extras” at her house on 16 June. The Lady Governor needed to do a Pontius Pilate to appease the crowd. She didn’t wash her hands though. Instead, she gave SMI one week to submit its arguments against the Environment Code. Peter Forrestal is supposed to meet with her in the next few days. Naturally, she will be under a lot of pressure. And her term as Governor is ending in nine days. What is she going to do? That will be the start of Act II. Abangan! ban open-pit mining as well as push the line that “a local law cannot supersede a national law”. Since there will be a change of guard at the DENR, is the next DENR chief going to follow his predecessor’s move to be on the side of SMI? P-Noy supposedly is pro-mining, so will P-Noy just follow PGMA’s staunch pro-mining stance? After June 30, the dramatis personae landscape will change a little bit. It will complicate the plot and Act II may turn more interesting to the viewer. But Act II could just be a repeat of the first part of Act I. What a shame if that will unfold! If Gov. Avance-Fuentes decides to veto, Act II may turn ugly and nasty (even violent). So what are the lessons to be drawn from this drama? I will refer to just one element, namely, the participation of the B’laans and the T’bolis in siding with SMI (for better or for worse). Who is to judge them? Indeed, if an IP advocate supports the IPs’ right to self-determination, one supports them when they make a choice on one particular issue. Especially if among themselves they practiced the free, prior, informed consent provision of the Indigenous Peoples’ Rights Act (IPRA). One only hopes that – in whatever way this drama will end – the lives and dignity of the B’laans and T’bolis will not be TAMAKAN by those who are aggressively pushing for the exploitation of the mines of TAMPAKAN! Indeed, one’s heroes can be others’ villains.